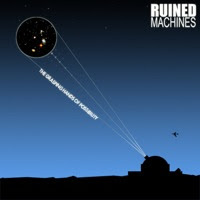 Ruined Machines are an experimental, instrumental rock band out of Linden, New Jersey, formed July 21, 2006. With influences ranging from post- and space-rock bands such as Red Sparowes and Explosions in the Sky, hard rock and metal acts like CKY and Hopesfall, and even classic rock outfits like Queen and Pink Floyd, Ruined Machines make use of mellow, atmospheric sounds as well as heavy rock guitar solos to make their sound more creative and enjoyable to listen to. "An album doesn't start from the exact time you lay down the first track of the first song the first time. It starts way beforehand. It takes a lot of mental power, a lot of brainstorming, preparing... pressing and obsessing. It takes gathering all of the emotions you've gone through, all the experiences you've had, all the love and hate you felt up until the time that that album is completed. This album, as each one before it, is a product of my heart and soul; it's the creation of a mind and its pair of hands. It's the aural representation of sadness and happiness and everything in between. Loneliness, pain, pleasure, shock, fear, worry, anxiety, hunger, despair, boredom, regret, wonder, disappointment, pride... It's all in there. An album is a journal entry as well as its creator's masterpiece at its time of completion. I work with the tools I have to paint on an infinite canvas. I am an artist. I am a musician. Each album i've written reflects the changes i've gone through, and in turn the album changes me once it's complete. 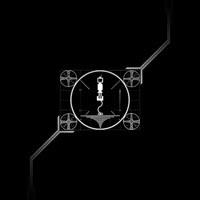 The new album, "Pressure & Obsession", tells a fictional story through music, but at the same time, largely reflects exactly what's been through my head, in my heart and in front of my eyes this whole time. It's as heartfelt as can be. It is my vent, it is my release. It is what i haven't expressed through words. It is an extension of my self. It is everything about me."